DOUBLE Olympic champion Kenenisa Bekele and European indoor 3000m champion Mo Farah have pulled out of the Aviva Grand Prix in Birmingham. Bekele has cited a calf injury for his withdrawal while Farah says he still is not at full fitness yet. 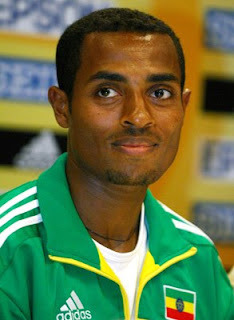 Bekele was intending to launch an attack on Daniel Komen’s world indoor 3000m record of 7:24.90 from 1998. The leading athlete in the field now is Sammy Mutahi from Kenya, who won the Glasgow International before setting a PB of 7:32.02 at the GE Galan in Stockholm. World 3000m steeplechase record-holder Saif Saaeed Shaheen and former Emsley Carr Mile winner Shedrack Korir are also in the field. UK No.1 Scott Overall is the leading Brit in the absence of Farah.